I made these cookies for a sweet Tangled/Rapunzel themed party. Tangled is one of my favorite Disney movies so I was super excited to make these! I stopped doing characters a while back because it stressed me out way too much. Instead I offered to do things that definitely symbolize the movie without having to do actual character faces. …and these sweet little purple 5’s with a long golden braid. This sweet little set of cookies I made for a friend for her and her niece’s birthdays. One of them loves Snow White and the other loves Cinderella, so I wanted to make a princess set that captured both. Instead of doing characters and faces (omg the stress!!) I opted for items that symbolize the royals. And a perfect glass slipper for Cinderella! I also made some 3’s with the birthday girl’s name on them. This set was easy and cute and fun to do! I once had the idea to make emoji cookies. I had never seen them before… like usual I put it off, then emoji cookies started popping up everywhere!! I eventually decided I wanted to do it anyway. I decided to make all of my most frequently used faces, plus the little 💩 emoji cuz everyone loves that little guy. These weer pretty fun to make! What are your favorite and most used emojis? 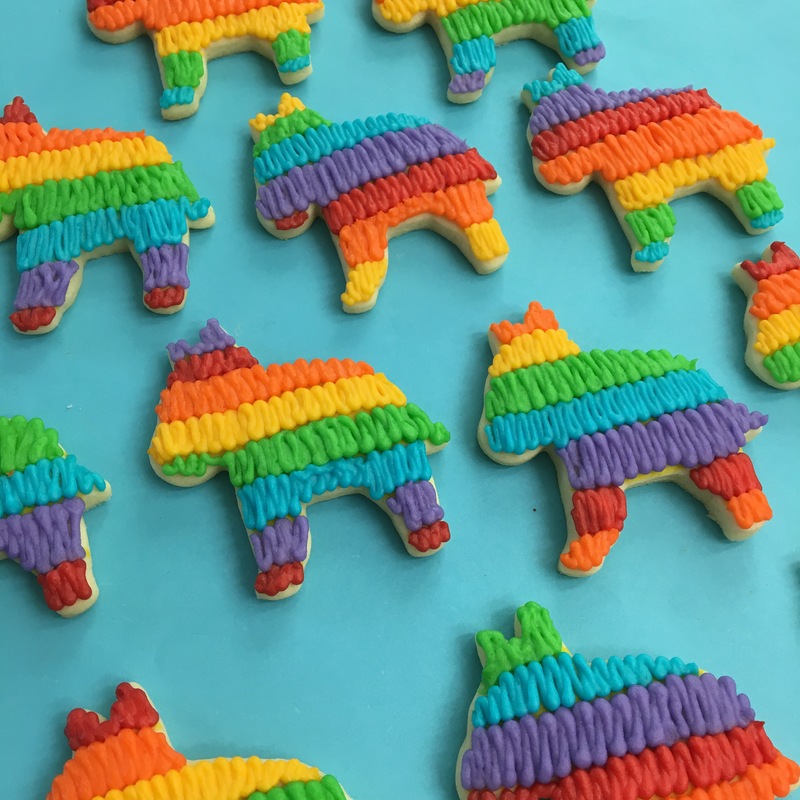 I made these fun rainbow cookies for my little lady’s Unicorn First Birthday Party. I was busy planning 2 birthday parties at the same time and needed to save myself from getting too overeager and stressed. 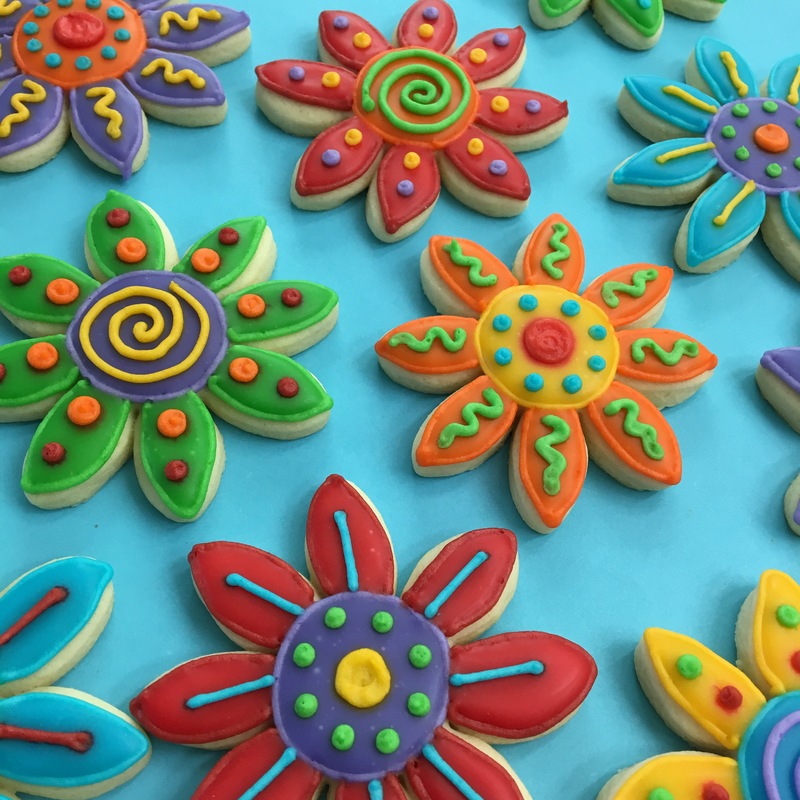 I decided to make some simple cookies that would still have that WOW factor. I baked them with sprinkles because nothing says rainbow and unicorn like sprinkles! I bought this cute rainbow cookie cutter here. I outlined these in white buttercream and filled with white icing. Once they were dry they were ready for painting! I used a small paintbrush to paint the colors on one at a time. This was the first time I’ve done this and I learned as I was going that I should have waited to do the next color until the first one had dried. Some of my colors were a little thin and started the bleed into each other. I decided to outline the clouds at the end because it helped cover the awkward line where the color met the cloud. At the party I used them as favors. They looked so cute on the table with the rest of the decorations! My little Audrey turned ONE and we threw her a magical unicorn birthday party! I made Fruity Pebble Rice Krispie Treats and a Rainbow Fruit Tray. There were also funfetti cupcakes with vanilla buttercream. I made my own sprinkle medley for these. 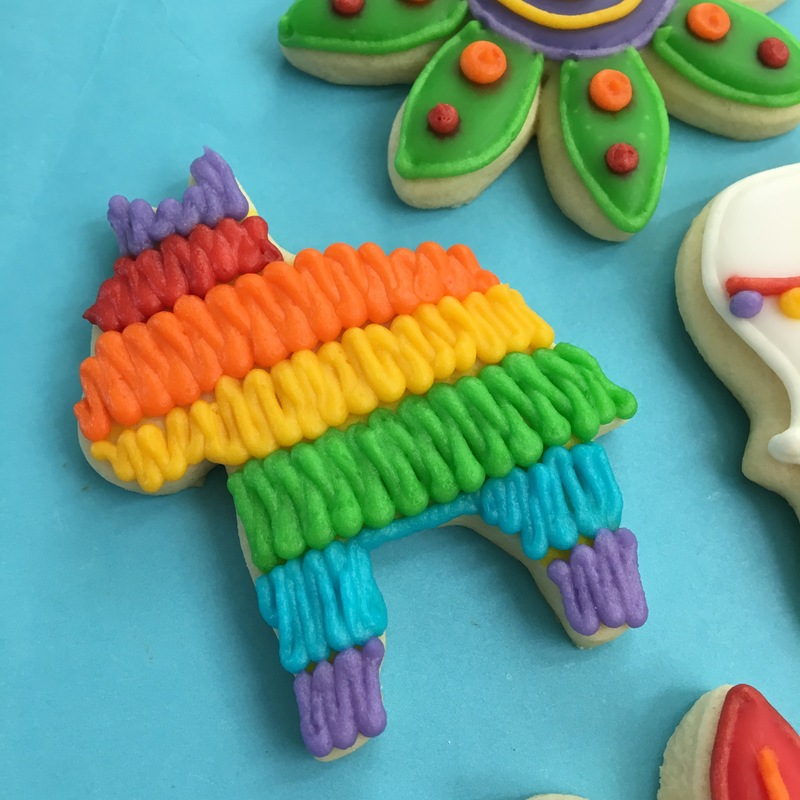 The rainbow cookies were the favors. This birthday sign is from this Etsy shop. 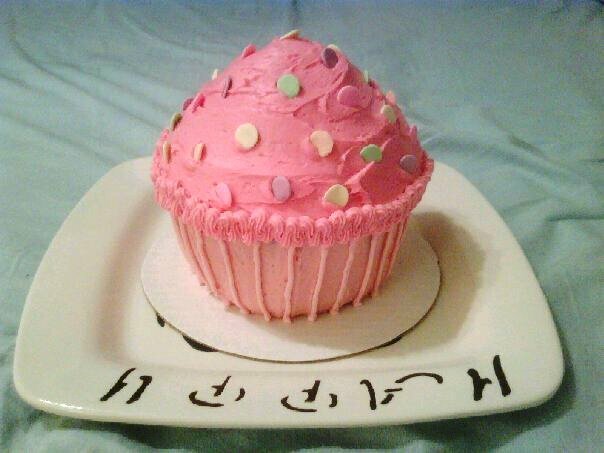 She made one a couple years ago for Levi’s first birthday. 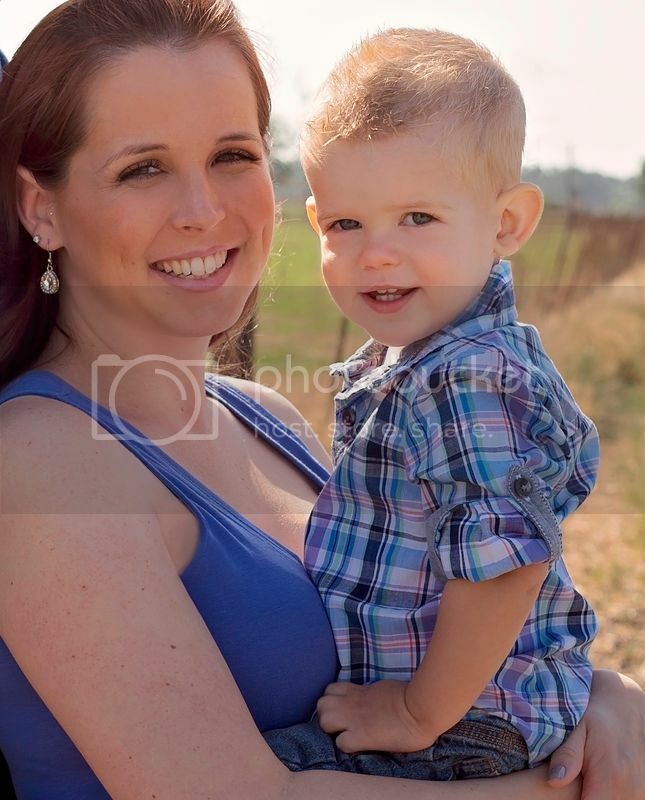 So hard to believe my last little baby is ONE! I shared my son’s taco birthday party here. 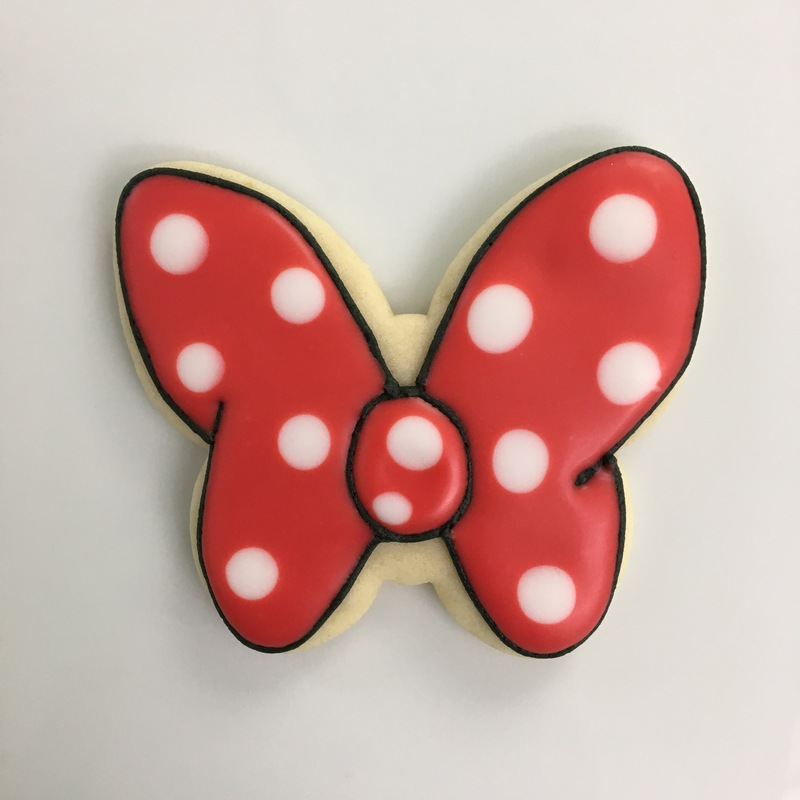 But I wanted to do a special post for just the cookies themselves. I used a crinkle edged circle cutter, then cut them in half with my spatula. I outlined in buttercream and filled the tacos with “taco shell yellow” glacé which I made by mixing Wilton buttercup and golden yellow. For the speckles I used this technique for splattering brown food coloring. Some of them got a little too speckled but in the end it just made them all unique! Once the shells were dry I added buttercream “meat” brown blobs. I alternated the blobs with leafy green buttercream stars. All of my leaf tips were way too big for these cookies, so the star tip was the next best thing. Lastly I added the cheese and tomatoes with orange and red buttercream. 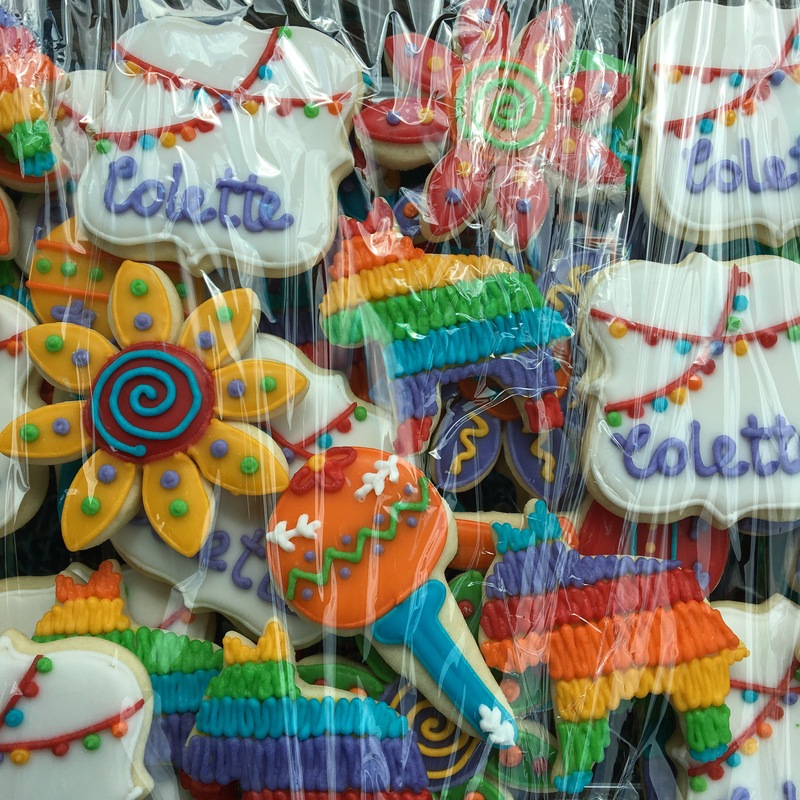 Because I wanted to present the cookies as “pantloads,” I wanted them wrapped individually and carefully so that you could see the tacos clearly. I cut the bags short and taped them down the back. I love how these turned out! So simple yet so detailed and cute! 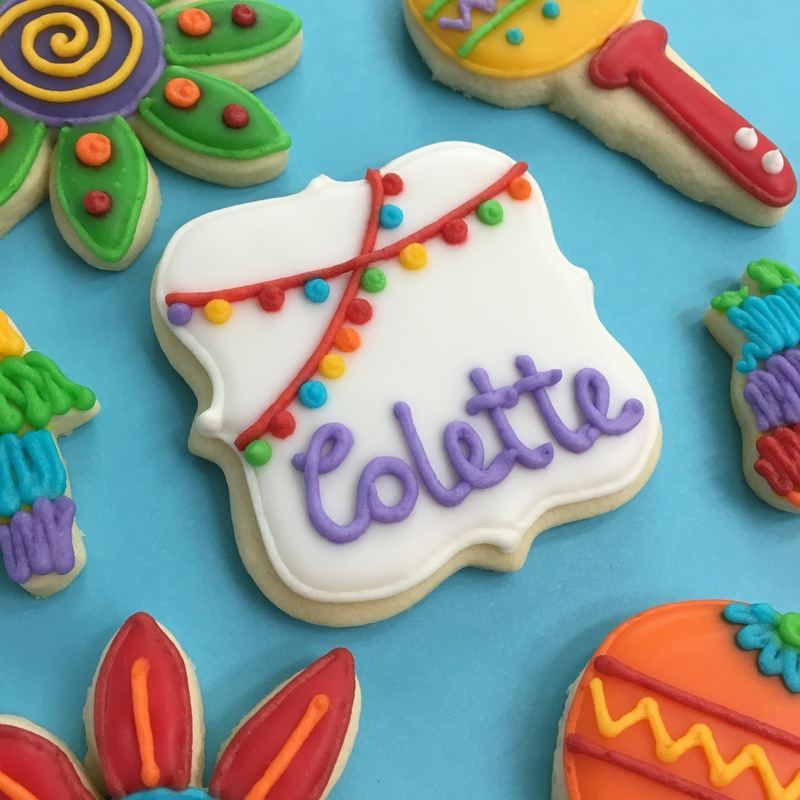 Colette was born on Cinco de Mayo. What better way to celebrate than to have a fiesta for her first birthday!? 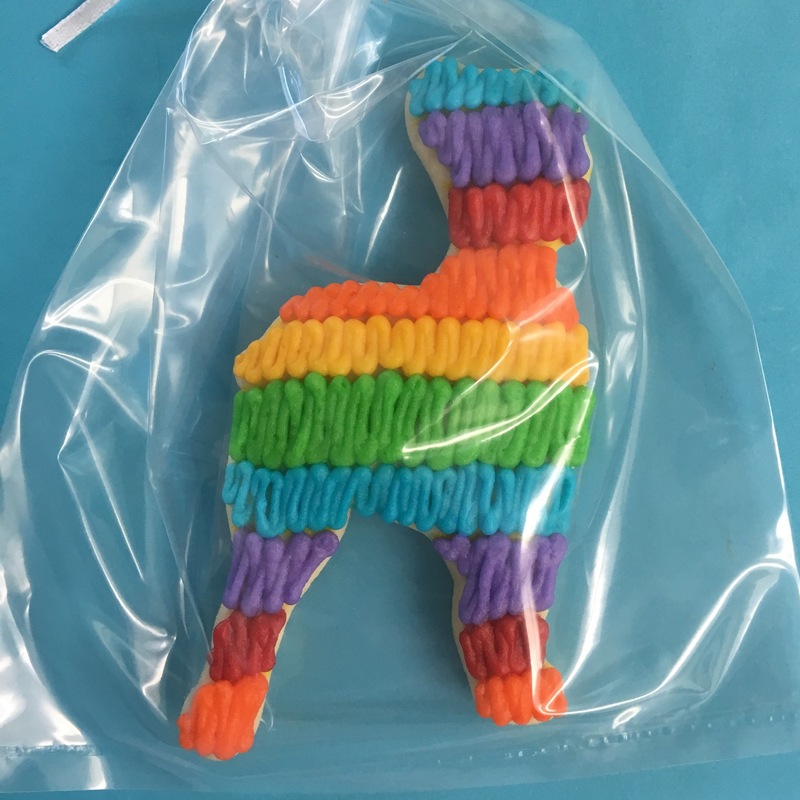 I happened to have this mini donkey cutter that I knew would be perfect for piñatas. This is my favorite flower cutter. I knew it would make awesome colorful flowers for this set. 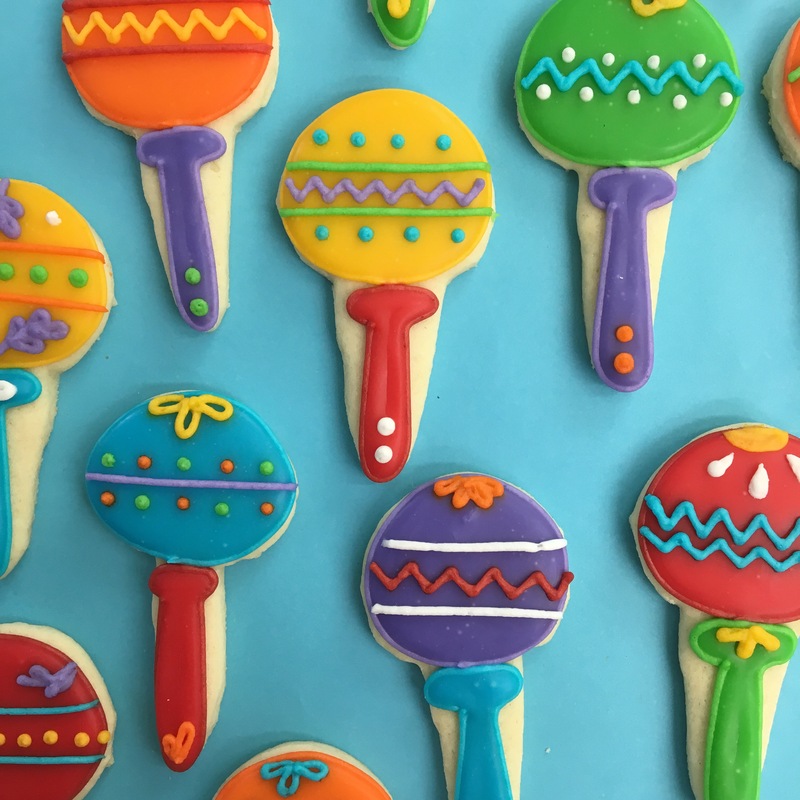 I modified an ice cream cone cutter to make these maracas cookies. Obviously a baby rattle would be perfect. This mama-to-be is so very special to me. We’ve known each other since first grade. We went to elementary, middle, and high school together and I introduced her to her husband, who was a coworker of mine. And now they’re about to have their first baby! 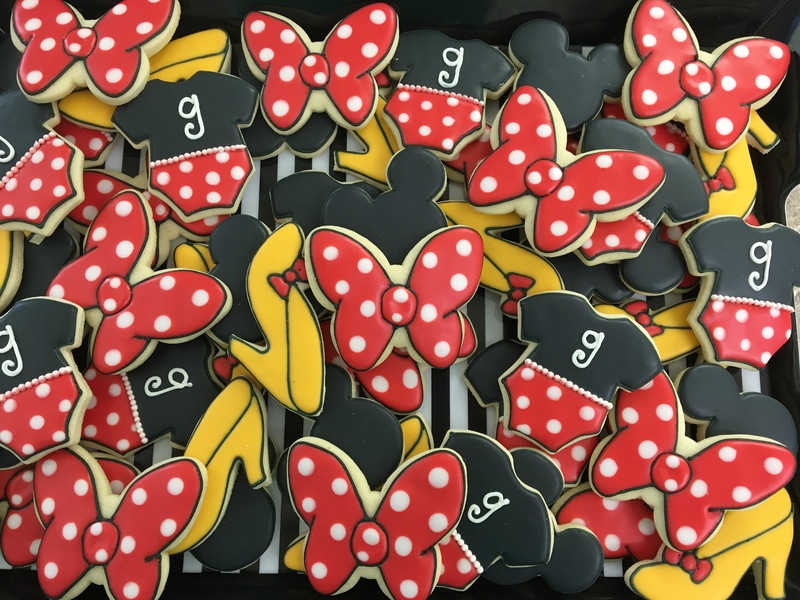 It was a Mickey and Minnie themed shower, and I got to make the cookies. 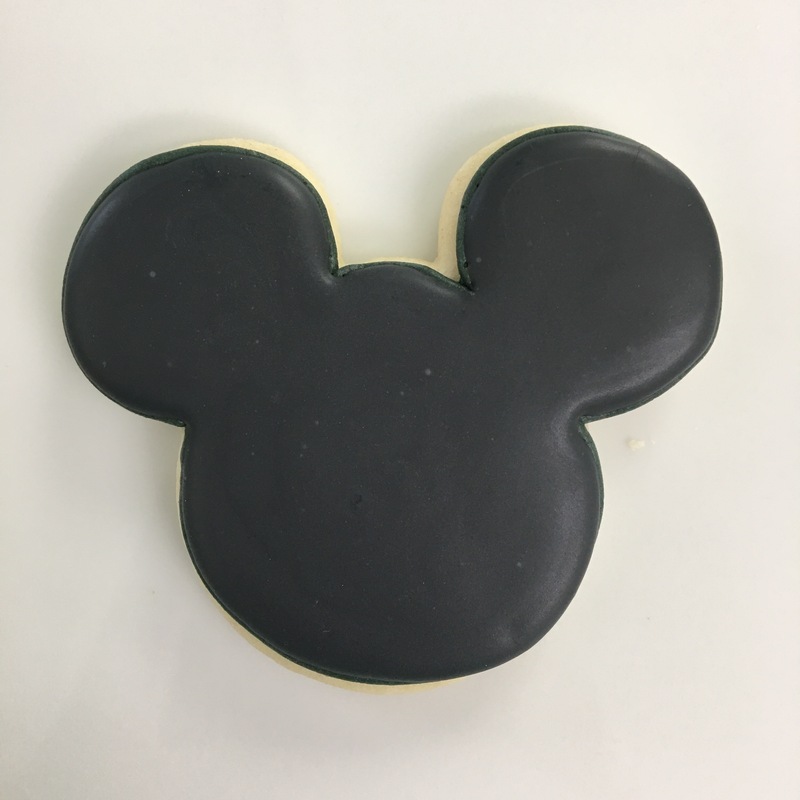 I’ve made Mickey cookies once before (here) but I knew I wanted to do something different this time. And since they’re having a little girl, of course I had to do Minnie too! 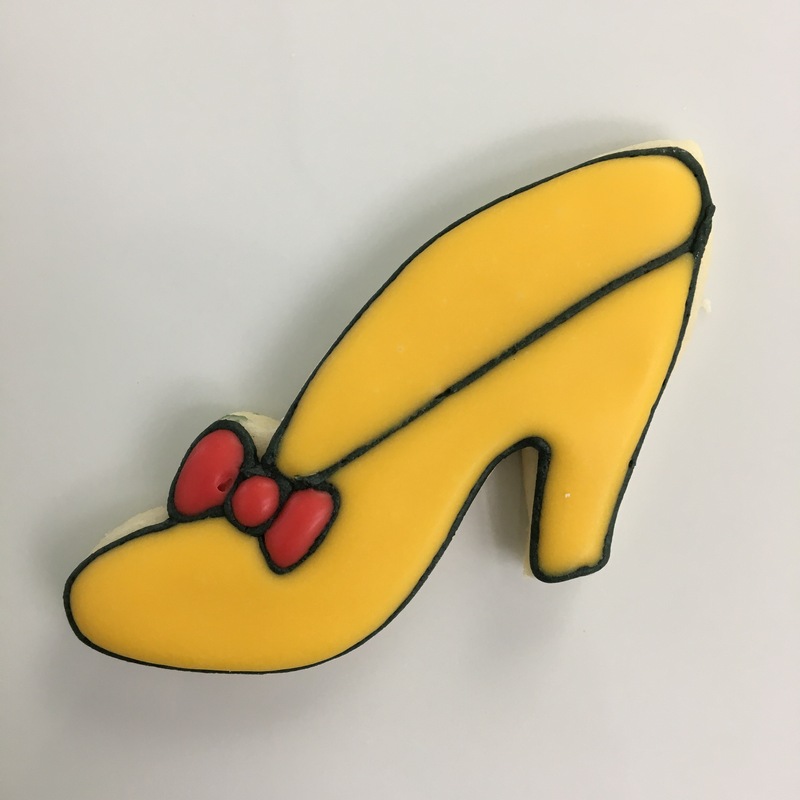 Sidenote – I decided years ago that I’m not making character cookies anymore. It’s so difficult to achieve the likeness of a character and it was way too stressful. Everyone is their own worst critic, and I was NOT nice to myself when I made characters. Instead, I prefer to do details and patterns that are still representative of the character or theme – but stress free! 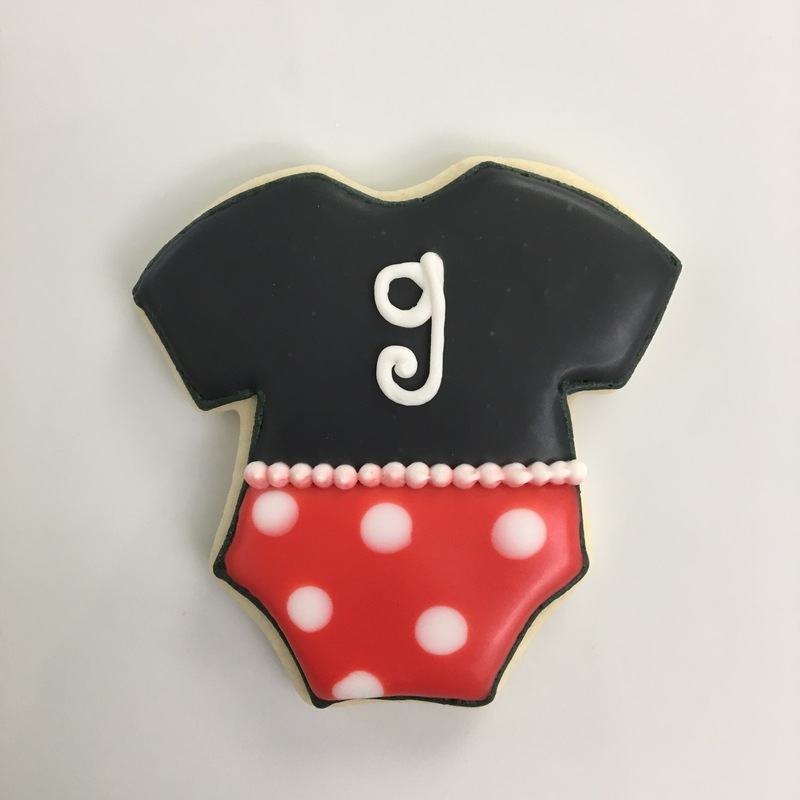 …and baby onesies! The G is for Gloria. Isn’t that the most gorgeous name?! I was so happy with how these turned out. The colors really popped and they looked great with the rest of the decor and food.